Deja Vu is a Mountain Mystery Campout, a magical live action role-playing experience with music, interactive theater, theme camps and a Deeper Riddle that a clever few may solve. Join us October 21 – 22, 2017 at Live Oak Campground, Santa Ynez. The Heart of the Mystery: What is Deja Vu? You’ve likely experienced the mysterious phenomenon of Deja Vu. The feeling can be like peering into the vortex of an infinity mirror, memories reflecting endlessly into, and from, a distant unknown. Some say that in these moments, we are experiencing the memory of a forgotten dream. Others contend that our brains, in all their complexity, are actually anticipating imminent experience and projecting it inwardly just moments before the experience happens. Popular storytellers have referred to Deja Vu as an indicator of a nearby tear in the fabric of reality, a “glitch in the matrix”, if you will. While we may not be able to put a finger on what Deja Vu actually is, we can celebrate its mystery, and call forth a deep inquiry of the labyrinthine nature of our inner spaces. While Lucidity Festival has been all about waking up within the dream, Deja Vu explores the dreams we dream while awake. A crisp Autumn fog settles over the valley. Caravans of mystics, magi, creatures, and seekers arrive to the gathering grounds, casting their incantations and preparing camp. They erect a humble yet mystical village, filled with the smells of far-away fragrances, moon-charged crystals, and fabrics from fabled lands. These wanderers are arriving because they received a special call, the same call that you received, to participate in the Labyrinth Games. After a wondrous opening ceremony full of theatrical delights, you are invited to dance the night away or adventure deeper into the mysterious Deja Village, where the Oracle Tent resides. Inside, secrets of the Universe are revealed, riddles are riddled, and a few courageous souls will be initiated and honored for their good work. As an initiate, you will wear the mark of success around your neck in the form of a gifted pendant. Find fellow initiates wearing a pendant that has a symbol matching your own and you will have found your Game-Twins. Together with this newly discovered Game Kin you are invited to co-create a theatrical answer to an deeply puzzling question… indeed there is something for you to solve together, and figuring out what it is is half the fun! Do well and you might just be crowned the winner of Deja Vu, which comes with an overflowing abundance of loving esteem and a valuable reward!! Don’t despair, lucid dreamer, stay inquisitive and enthusiastic and trust that the details will be revealed to you in proper timing. The best way of successfully acting a part is to be it. When we intentionally choose to embody a character, other than our regular everyday self, something magical happens. New possibilities open, old patterns are disrupted, fears can be overcome, and new paths may unfold before you. The simple process of fully embodying an archetypal character allows you to feel what it’s like to hold a different energetic quality and to act and speak with the deeds and words of another. For many, Halloween is the only time of the year to bend reality in this way. Deja Vu, occurring a week and a half before Halloween, challenges you to stay in character for an entire 24 hour period. What magic will unfold when you are among hundreds of other people doing the same? This is a grand experiment, and we are delighted to engage this live-action role-playing mystery theater experience with you. Arrive to Deja Vu in the embodiment of your Life-Not-Lived. Who would you be if you made a different decision once upon a time, if you followed an alternative timeline back in some Otherwhere? Or who and what would you wish to be if all the constraints of our Life-Lived were not concerns. Our Crystal Ball Oracle will help you identify this Life-Not-Lived. Once again, we invite you to remain in this character for the entire weekend. Experiment with dropping deeply into a different persona and way of being completely. See what magic unfolds as a result. LARP or Live Action Role Playing provides the opportunity to physically portray characters in fictional settings and scenarios. LARP participants are encouraged to take on the characteristics in speech and mannerism of their fictional characters. Maintaining and vividly portraying the character enhances the experience for all parties involved and make for a magical event. By following a few tips and guidelines, you’ll be able to improvise off the cuff and meaningfully engage with other characters. Creating a Character name from Larpbook.com. Character Development 101 from Johanna. Um…Don’t do this: Top 5 Worst Character Backstories for LARP from our friend, Kristin Brumley, again. Guest writer on Geek Native. larping.org, an online magazine for LARP enthusiasts. Ready to embody that character? 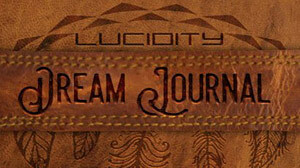 The Lucidity Dream Journal is our official blog. Read up on the latest festival & event news, and issues that impact our community and our planet. Sign-Up for the Latest News, Deals on Tickets and Merch, and Sneak Peaks at Line-Ups and Stories.